backed by media intelligence, analytics & insights. A digital PR platform, designed for PR & communications professionals allowing Brands to connect with Media & Influencers in a whole new way. It’s time to switch gears and get serious about your Influencer outreach. Instantly access more than 30,000+ Influencers across traditional, online and social media across a collaborative digital PR platform. Map your Brand expansion with India’s more authoritative Influencer insights engine. Powering in-house Brand PR/Marketing and Corp Comms professionals with Influencer strategy, intelligence and insights. 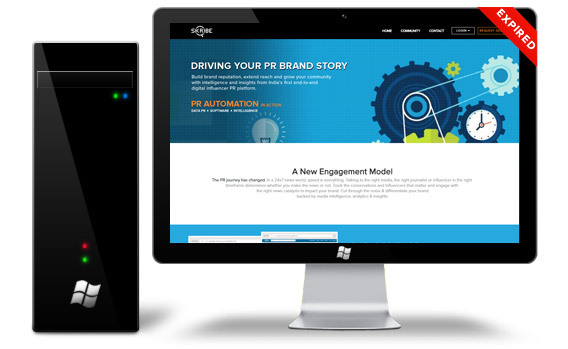 The end goal to drive better PR execution, Agency management and a greater overall PR ROI. Driving Agency PR productivity, team collaboration and Media/Influencer data to extend Brand reach. Build the right relationships to deliver compelling PR results for clients. An enabling PR platform to build your SME Brand. Identify key Influencers who can promote your Brand and accelerate business growth across a Pan-India media marketplace. Designed to transform how Brands/PR Professionals engage with new Media and Influencers. Some one has logged in using your credentials. click ok to continue.